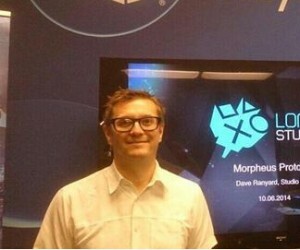 The latest news indicated that Dave Ranyard who has been worked 17 years for Sony would resign from the company. He was one of the leaders of its development team and one of the most important members of PlayStation VR. He plans to start his own VR career after leaving the company. Ranyard claimed it was a harddecision to make when he was interviewed. But he suggested that his future career might has chance to team up with PlayStation VR. He explained that 2016 would be an active year for VR technology and he would take opportunity to establish independent office in this field. There are still fewer demands for VR technology on the market, but he was eager to explore in this new market. As reported, Ranyard has worked 17 years for Sony. He took part in the launching of StingStar and Wonderbook before he joined VR team. PlayStation VR is supposed to debut in the first half of 2016 even though it has not confirmed the release date and Sony has released its selling price either. The latest reports indicated that PS VR will be sold between $400 and $600. Ranyard was the officer of Sony London office. His team was specially working for the launch of PS VR game such as The Deep and The London Heist. This London office still working on another unreleased VR game now. The publisher of famous Angry Birds announced on Wednesday that Pekka Rantala will resign soon.Rantala just served one year for Rovio as CEO. The company cut jobs and reorognized during his tenure. As the company predicted that its profit will decline this year, Rovio laid off 213 employees in October. Rovio claimed that Kati Levoranta will take over the job of Rantala from the beginning of 2016. The two major departments of Rovio are games division and media division and they will receive more independences. The media division will be led by Rovio ex CEO Mikael Hed, and games division will be led by Wilhelm That, the existing external product director. Hed indicated that Rovio did not add IPO into its agenda yet. The European game industry needs to be integrated. Angry Birds became the most popular downloaded app when it was released in 2009. It benefited Rovio a lot from its brand authorizing. The brand authorizing business develops slower in recent years. Rovio aims to make more profit via Angry Birds 3D movie which will be released in May, 2016. Rovio, Finnish gaming publisher made decision on Wednesday to lay off 213 employees, accounting for 32% of its total employees, reports Rueters. Rovio was famous at the time when it launched the popular game named Angry Birds. It is reported that the staff reduction plan involves in company-wide. Most of the layoffs locate in Finland. Those employees are lucky to survive from this layoff plan who work in America and Canada to make Angry Birds movie, based on the Angry Birds game. The movie of Angry Birds is supposed to be on the screen in May, 2016. Rovio indicated that it will cut 260 jobs in August as its forecast of annual sales make it even with its previous year and the profit would be declined. 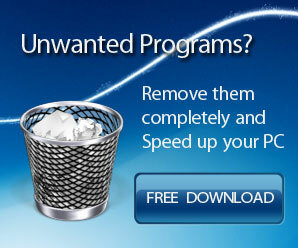 There were no works as excellent as Angry Birds being rolled out since Rovio launched it in 2009. Angry Birds was once popular. Rovio has been working on the company recombination after Mikael Hed, Rovio’s ex CEO resigned last year. 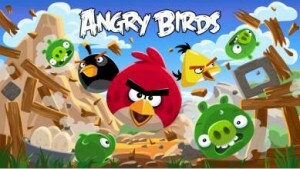 As reported, Rovio will focus on launching games, media and consumer products’ popularization. Rovio spokesman claims that the company will not directly run business concerns E-learning products and book publishing. In addition to this, Rovio will cut its investments in recreation industry such as the Amusement Parks and Theme Parks. Its spokesman reveals that the company will open business in those built projects. With the game going to the knockout stage, a new Champions League app has been released on PS4. PlaySation FC UEFA Champions League App is exclusive to PS4 and it can be accessed for free from PlayStation Store. The users can watch classic matches from competition, play Fatansy Football and other mini-games and compete for prizes with the new App. Three games are offered to play on this new app on PS4, with Fantasy Football and Predictor already available. The users can pick a dream team in Fantasy Football, while they can guess the upcoming results in Predictor. Users can predict who will be the star players for the top five in the next Champions League Match that will launch in the near future. 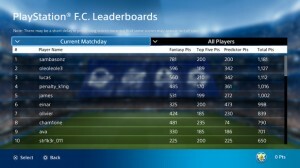 The users will earn points in each game that are added to give an overall score on the PlayStation FC Leaderboard. With the score they get, they will be assigned an overall UEFA Champions League Fan level. Users will be able to win prizes during the season, such as tickets to the Champions League final in Milan and a PS4 Ultimate Player 1TB Edition. It also offers the PlayStation Plus members a chance to experience the relive memorable matches in the competition in 5 and 50-minute edits. The users can view last season’s final matches between Juventus and Barcelona provided on the new app. The modification of FC UEFA Champions League App will be made during the season. You can apply the PlayStation FC UEFA Champions League App in English, French, German, Italian, Portuguese, Russian and Spanish currently.